14 – Spring Wrap Party! This Friday we’ll be doing something new at Youth Group (GASP!?) that something different is called a “Split Night”. 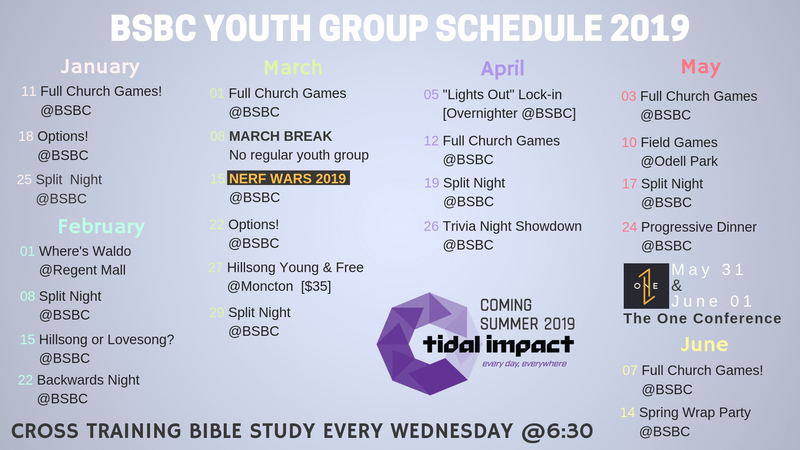 For our first Split Night we’ll meet at BSBC and the middle school group will head down to Wilmot Park (weather permitting) to play some games while the high school students grab some ice cream at the Dundonald Quiznos before heading back to the church for some social games. Throughout the night we will be taking suggestions from youth for future split nights so make sure to come out and share your voice! 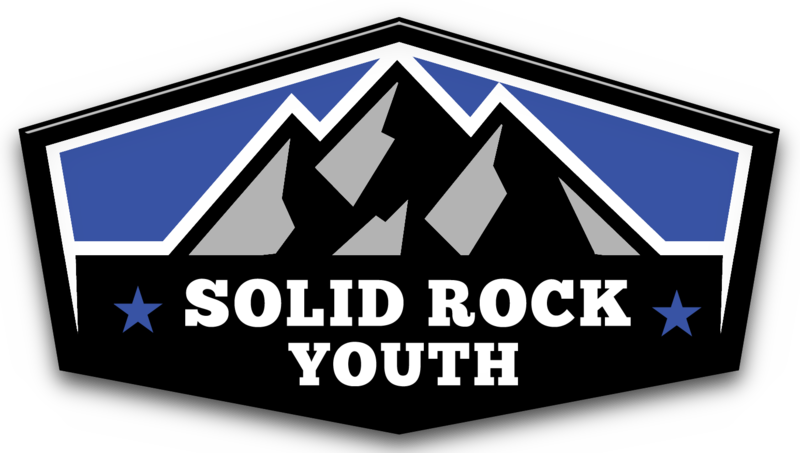 Our Youth Group Kick-off is happening Friday, Sept. 14 from 7-9 p.m. at Brunswick Street Baptist Church. Youth in Middle and High School should come prepared for a night of fun, competition, and getting to know everyone. Anyone who hasn’t been to youth group before (or in a while) can consider this an invitation to come and see what we are all about! Youth Group meets regularly on Friday evenings from 7-9 p.m. and anyone in Middle and High school is welcome to attend! 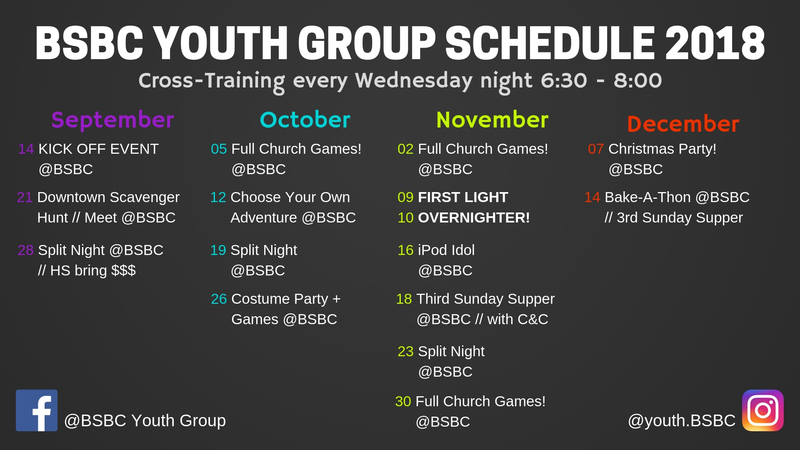 Stay connected by visiting us on Facebook (BSBC Youth Group) or Instagram (youth.BSBC) for the most up-to-date information. Don’t miss our exciting youth events taking place this summer! 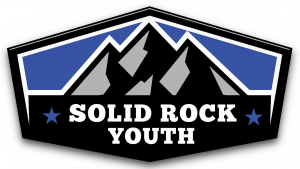 Youth who will be in grades 6 to 12 this fall are welcome to join us most Wednesday nights from 7 to 9 p.m. The Great Get-Away is almost here! On Wednesday, Aug. 1, come enjoy an evening of fun swimming and playing together. BBQ will be served. Youth will meet at the Church at 5 p.m. sharp (we’ll be leaving very shortly after). Bring a bathing suit, towel and lots of energy. Also, we recommend footwear that can get wet (flip flops, beach shoes, etc.). Pick-up will be at 10 p.m. at BSBC. Any further questions can be directed to Rowan at J625M@unb.ca. Wednesday, Aug. 8, we will be having a night of great food. Stay tuned for more information. This event will be on the 3rd Floor at BSBC, 7 to 9 p.m. Beat the heat of the dog days of summer with a trip to Magic Mountain. We will meet at BSBC at 8:15 a.m., Saturday, Aug. 18, and return to BSBC at ~7 p.m. Cost is $20 plus money for lunch and supper. Bring a family friendly swim suit (no buckles, rivets or zippers), a towel and sunscreen. To ensure we have enough drivers, please either e-mail Rowan at J625M@unb.ca or call 470-1405 by 5 p.m. Monday, Aug. 13 . Our final regular youth night of the summer will be on Wednesday, Aug. 22. We will meet at Odell for a night of wide games, some familiar and some new. Regular time (7 to 9 p.m.), but meet at the park entrance off of Dundonald and Rookwood. Bring sneakers, as we will be active. BSBC C&C will be headed to Breakout St. John on Saturday, Aug. 11 at 1 p.m. Cost is $24 per person. To join us, either reply to the event on the BSBC College & Career Facebook page or contact Rowan at J625M@unb.ca by Aug. 1st. There will be a time of fellowship over appetizers after the conclusion of the escape room (this is not covered by the $24 cost). We have been receiving a number of concerned messages letting us know that the schools are closing and we should be cancelling Youth Groups for tonight, February 2nd. We will see you all next week. There is a possibility of rescheduling the Night of Culture to later in the spring. 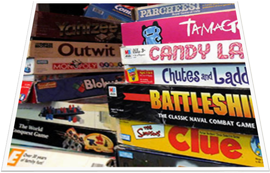 WHAT’S UP: This week at Youth Groups, we are having our fall board games cafe. Join us for a relaxing, social evening with some great games along with milk and cookies. WHAT TO BRING: Bring your favourite board or card game. If you don’t have one to bring, don’t worry … We will also have some of our own selection there too. Also, if you wish, you can bring a couple of bucks for the canteen that will be open.